Following on from recent posts, this week's post is again extracted (with thanks) from the Chairman's Red Book. 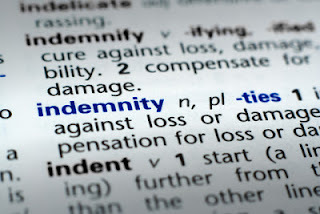 An indemnity is an undertaking to meet a specific potential liability, or to hold someone 'harmless', on the happening of a particular event, similar to the obligations of an insurer on the happening of an insurable event. Indemnities provide a clear allocation of risk in respect of an event. The scope of the indemnity provided under an agreement should be carefully considered by the indemnifying party and the trigger for the indemnity clearly understood. 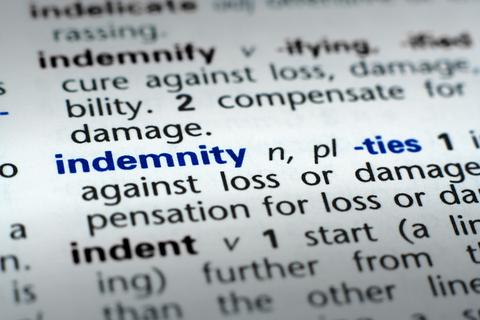 Depending on the wording of the indemnity, the amount that is claimable under an indemnity may not be limited by the usual common law requirement of remoteness, or any requirement of the indemnified party to mitigate loss. Similarly, the indemnity may be open ended and not subject to any limitation or exclusion under the agreement, and in some cases the event need not have been caused by any wrong of the indemnifying party. Next week’s post will look at some of the issues to consider in relation to indemnities. You might also be interested in The Chairman’s Red Blog, which is a supporting resource for the book.